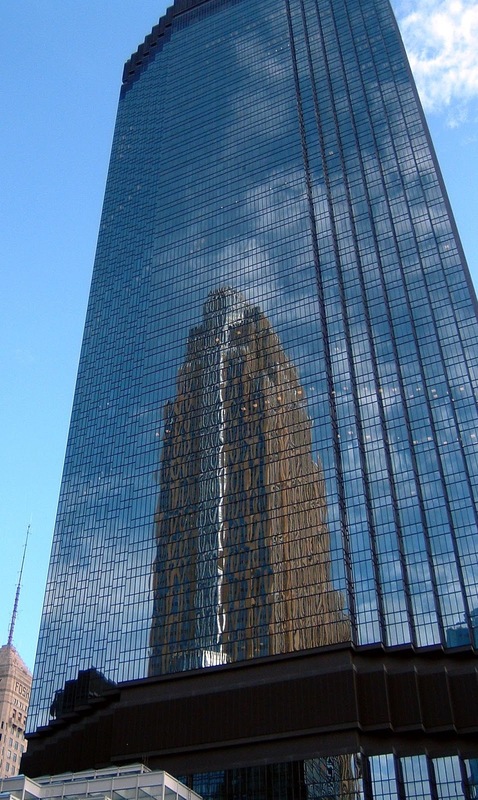 IDS (Investor’s Diversified Services) Tower, located at 64 8th Street in Minneapolis, is 910 feet tall from base to tip. Two telecommunications antennae extend from its 792 foot roof. The modernist skyscraper has a zigzag shape that allows for 32 corner offices on each of its 55 floors. It has a composite structure and a blue curtain wall façade. The tower opened in 1973 after four years of construction, replacing W Minneapolis – The Foshay as the tallest building in Minnesota. The hotel had held that distinction since 1929. IDS Tower’s 50th floor is home to Windows on Minnesota, a banquet facility for The Marquette Hotelor ility affiliated withd with e extend from itsd a facade nd housing. indows. d even further, allowing the extra 29 feet to ac. The building received an Honor Award from the American Institute of Architects in 1975. Movies Purple Rain, Foolin’ Around, and Joe Somebody were shot in the tower and nearby Crystal Court. The building was featured in the opening sequence of the Mary Tyler Moore Show.